Home Stage your Kitchen to Sell your home	Staging Your Kitchen to Sell Your Home : Part 3- Let there be light! Ok, let’s look back at what we’ve done so far with the series on Staging your kitchen for a quick and profitable sale. On Staging your Kitchen Part 1 and Part 2 we talked about whether to remodel or renovate. By now your Cabinets are refaced with either paint, wood veneer or new cabinet doors. Your walls are fresh with new paint. Counter tops are replaced, repaired or at the least scrubbed and sealed. Let there be Light… oh no, not this light! If you have a home built earlier than 2000, this may be your kitchen lights! I’m making this pretty easy for you with a really great and easy to follow link on YouTube that goes step my step on giving you updated and really nice recessed lighting. This is honestly not hard, we’ve done it in many of our homes and I’ve had several of my owners do it as well before selling or leasing their homes. 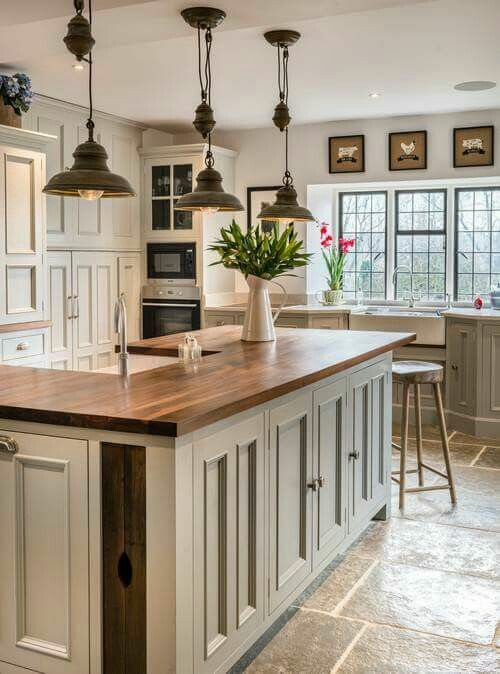 It’s an amazing face lift to an otherwise very dated kitchen. So here ya go…watch it! How to Replace Florescent Lights with Recessed lights. You have really made a huge statement…You have changed the look completely in your kitchen with efficient Recessed lighting. 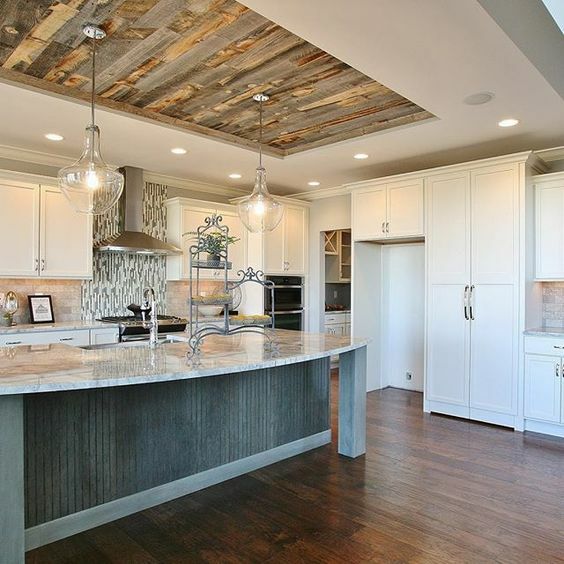 But here’s another option; instead of canned recessed lights you can use distressed wood or even white bead board or tin as a great decorator background and hang pendant lights….what!! This single light may be more cost efficient than putting in 4 or 6 canned lights. You know the style of your home but canned lights are a very safe bet and add instant value. It’s also something both men and women would like. But let’s look at another option just for fun. This next one is more me. I love this recessed box area trimmed out in wood. You can get the peel and stick at Lowe’s or Home Depot or even order online. I like the real deal and use distressed wood. Tip: If you like the distressed wood, go to a local fencing company. Often times they will give you old fence wood, free. Make sure you power wash and sand with a mask!!!. Nasty stuff on that wood but oh so worth it! You will have to be picky and make sure the wood is not warped. If it is warped it just won’t lay flat. So it is a bit more work and about the time your husband is complaining remind him it’s free. Don’t tell him I said that! Did you ever think that old florescent light box would ever look like this!!! I don’t care if you’re selling your home or not, do this! Ok, so now lets talk about light options. Pendant lights have come a Long Way…there is so much to chose from. 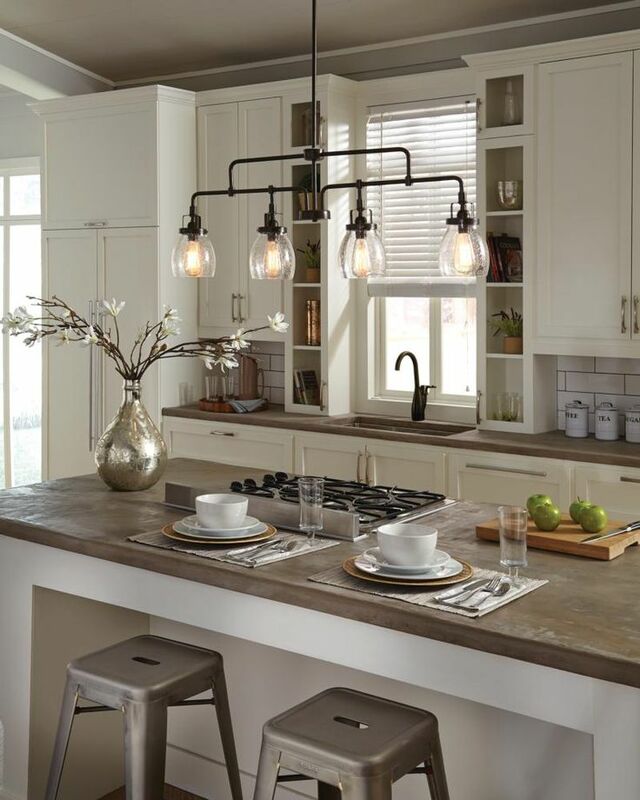 Pendant lights can be an inexpensive way to make a Huge impact! Shop around… you can find some great deals! 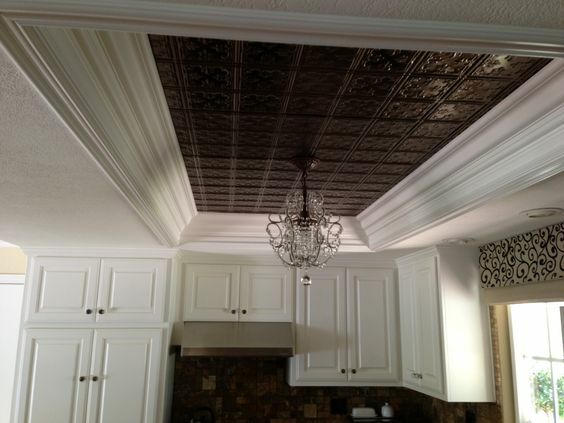 We’re not done yet…don’t forget under cabinet lighting! 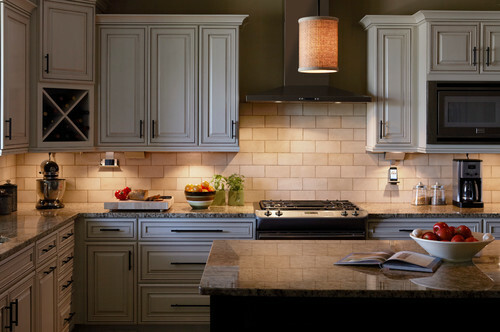 Under cabinet fixtures ensure high energy savings – especially when you elect to install LED under cabinet lights..
What’s the three most important elements of an aging-in-place design? Safety, safety, safety. . Under cabinet lighting helps promote safety, especially in the kitchen, where cooking accidents are more probable due to poor lighting. Layered lighting is increasingly important as we age – since our eyes begin to fail us and more light is needed. Don’t underestimate the inevitable beauty of a layered lighting. With under and over cabinet lighting, pendant lighting and canned lighting combined. Keep windows clean and clear: Clean the kitchen windows, inside and out. If you have heavy window coverings, consider removing them — or at the very least, be sure window coverings are completely open when you show your home. Clear the counters: A toaster and coffeemaker are just about the only things to consider leaving out on the counters. Put everything else out of sight. Less is actually more in this case. Have your kitchen professionally cleaned: Having a pro thoroughly clean your kitchen is one of the best investments you can make when preparing your home to sell. Yes, you could clean it yourself, but would it really look as good? A sparkling-clean kitchen is one that looks its best. Add new tea towels: Brand-new tea towels free of stains. Don’t put our your smelling used towels frayed and tired. Set out fresh fruit and Flowers: Anything perfectly ripe and beautiful is fair game. Choose a pretty fruit bowl or set your fruit on a cake plate. Never, never, ever leave dishes in the sink and run your dishwasher prior to an Open House and take out the trash so there are no unwanted odors. Now go! You did it. 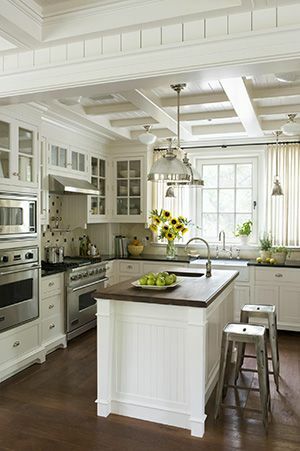 let your kitchen sell your home…or maybe stay in your home and enjoy the fruit of your labor. Staging your Bathroom: Oh boy!